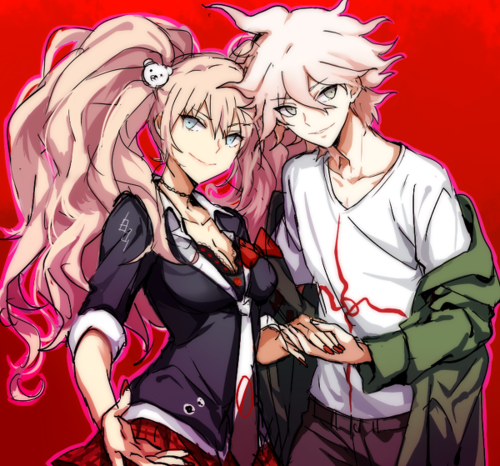 Junko and Komaeda. . Wallpaper and background images in the Dangan Ronpa club tagged: photo junko enoshima nagito komaeda sdr2 dr. 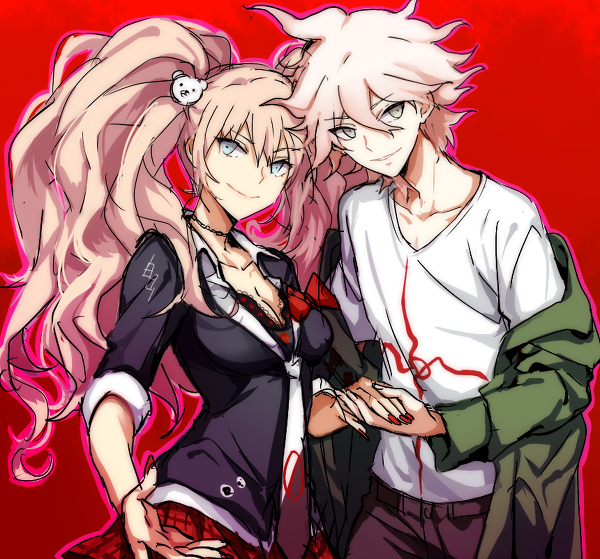 This Dangan Ronpa fan art contains নকল মানুষের, কমিক বই, কমিকস, and কার্টুন.